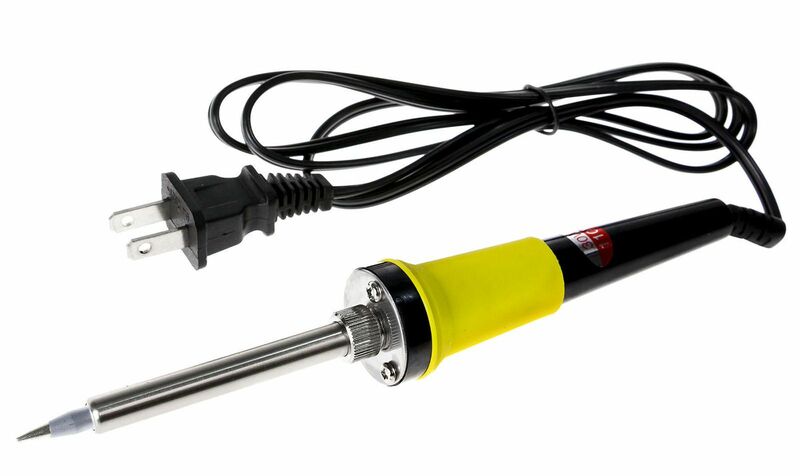 This quality soldering iron will quickly become your favorite. Cord: Is the cord durable and appropriate for the wattage? We have had cheap soldering irons catch on fire. Element: Does the soldering iron have a coiled element (cheap), or ceramic element (better)? Wattage: Lead-free solder requires more heat than traditional solder. We recommend soldering pencils over 25W. Lead Free: You should be using lead-free solder. Is your soldering iron compatible with it? Construction: Cheap soldering irons can fall apart, and their handles often get dangerously hot. Is your soldering iron safe? Soldering Tip: How does the tip connect to the body? Higher quality soldering irons use tips that slide over the heating element, rather than screws. This configuration transfers heat quicker and is more reliable over time.